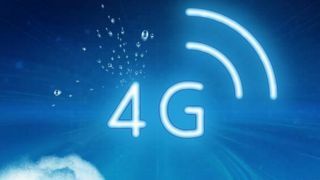 O2 will be launching its 4G service across the UK on 29 August, but it's finally spilled the beans on how much you'll have to pay for the superfast connection. Sadly, it's only matched the incumbent 4G operator, so it's not going to be cheap. Starting at £26 per month, you'll be invited to consume 1GB of data every month for a whole year. Bump that up to £31 a month, and you'll get 5GB, and with an extra fiver on top of that, 8GB can be yours. These three tariffs come with unlimited calling and texting, although sadly the second two options, the 5GB and 8GB allowances, come down to 3GB and 5GB if you don't sign up before 31 October. If you do, then you get to keep them for a whole year. However, that could leave those in the cities that won't have access to O2 4G at launch - most of the UK - forced to pay for something they can't get if they decide to take advantage of the extra data. The price is slightly lower if you go for O2's Refresh scheme, which allows you to pair it with monthly payments for a handset while keeping the costs separate. If you go down the Refresh route (again, all with unlimited texts and calls) 1GB will set you back £22 per month, 5GB (3GB after October) £27 and 8GB (5GB after October) £32. What's slightly weird is that when the introductory data offer ends, users will be able to get more 3G data for £31 a month compared to the 4G offering... which is rather cheeky when you consider that 4G data actually costs less to manage across the network. When the October offer is over, the 4G price plans from O2 will match those from EE exactly on the same SIM only deals – however, the bubbly network is talking up its Refresh program as a way to get cost control over your device is you're willing to pay a little more upfront. It's going to get interesting when it comes to the 4G wars in the UK towards the end of the year as Three joins the party. Remember, the numerical operator is promising to keep all its price plans the same while adding in the 4G superboost, so we could see the faster speeds on offer for as little as £15 per month.